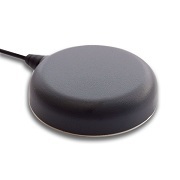 The TW3070 by Tallysman Wireless is a professional grade, permanent mount GPS L1 antenna, specially designed for professional precision timing applications. The TW3070 features a custom high performance, wide band patch element, a 40dB gain LNA stage and a high rejection out-of-band SAW filter. 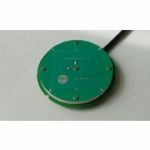 It provides å±10MHz bandwidth centred on 1575.42 MHz and covers the GPS L1, Galileo E1 and SBAS (WAAS/EGNOS/MSAS) signals, and it provides great axial ratio, excellent circular polarized signal reception, great multipath rejection and great out-of- band signal rejection. The TW3070 is housed in a compact, industrial- grade weather-proof, domed shaped enclosure. 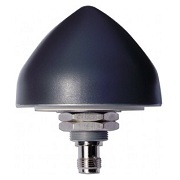 Its radome is available in dark gray or white, it comes with a TNC female connector, and a L-bracket for mast mount is available (P/N#23-0040-0). High gain: 40 dB typ. Low current: 15 mA typ.